There is a certain satisfaction in calling out first, that Seagate must be feeling right now. Seagate just announced the world’s first 4TB external hard drive, which has been added to their growing GoFlex Desk line. The standard unit comes with USB 3.0 support (USB 2.0 backwards compatible) and is available now for $250, while a Mac version will be coming out soon with Firewire 800 and USB 2.0 connectivity. But, as with all GoFlex drives, the base can be swapped for different connectivity options; like something more interesting perhaps, let’s say Thunderbolt? Seagate also managed a design refresh, giving the drive a more “industrial” look. The unit weights 2.38 lbs and measures 6.22 x 4.88 x 1.73-inches and has enough space for 2,000 HD movies, or you know, those “documentaries” you like watching late at night. Full press release after the break. CUPERTINO, Calif. – September 7, 2011 – Seagate (NASDAQ:STX) today announced it is shipping a new 4TB GoFlex® Desk external hard drive – the highest capacity hard drive in the industry. 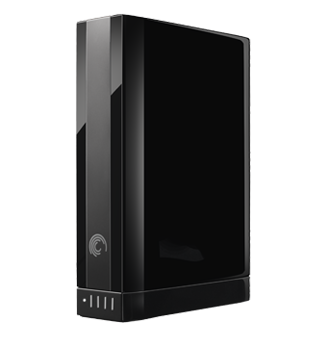 This latest addition to the GoFlex Family of external hard drives showcases Seagate’s new desktop design. The streamlined industrial design delivers a smaller footprint and better reflects the aesthetic of today’s modern offices while still providing all of the benefits of previous generations of the GoFlex drives. The new 4TB GoFlex Desk drive is now available from www.seagate.com and will be available from select online retailers within the month for a manufacturer’s suggested retail price of $249.99 USD. The entire line of GoFlex Desk products will also adopt the new industrial design in the coming weeks. The GoFlex Desk for Mac external drive featuring both FireWire 800 and USB 2.0 will be available in Apple stores by the end of the month. The world’s first 4TB hard drive, Seagate GoFlex Desk, available now for $249.99. As more of our entertainment and personal data become digitized, the significance of greater access to local storage becomes increasingly more valued. The new GoFlex Desk 4TB drive has the space to contain over 2,000 HD movies. This new GoFlex Desk external drive comes at a time when people are archiving more of their memories in the form of digital photo and video. “IDC foresees there being an increase in global demand for personal storage capacity driven by the growing creation and acquisition of digitized videos, photos and music,” said Liz Conner, senior research analyst, Storage Systems, IDC. Debuted in May of 2010, the award-winning GoFlex Family of hard drives provide an alternative approach to external storage solutions by allowing users to change interface adapters to stay current with the latest in interface technology. With USB 3.0 still undergoing adoption and the emergence of Thunderbolt technology in the coming months, the GoFlex adapter concept has been proven as an idea that works and Seagate plans to continue with this design for future iterations of the company’s external hard drives. The GoFlex drives are also Windows and Mac OSX compatible and have the flexibility to go between both operating systems. In addition to cross-platform compatibility, the GoFlex Desk drive can also be utilized with the GoFlex Home adapter if one chooses to use it as a network drive. With the pre-loaded back up software, the GoFlex Desk external drive provides automatic, continuous back with encryption for all your files. The included USB 3.0 adapter also works with USB 2.0 ports making it easy to connect to your Windows or Mac computer. The adapter also features an illuminated gauge to display available space on the drive.